SafePath Wheelchair Ramps are a fantastic alternative to standard metal ramps. They are silent and have no load weight limitations to worry about. All of these ramps are made in the USA out of 100% recycled tire rubber, and many of these wheelchair ramps are ADA Compliant. Custom sizes and different colors are available for some models. These install quickly and easily, and can be permanently or temporarily adhered to almost any surface. They provide a seamless transition from one height to another and are the most slip-resistant material on the market, even when wet. 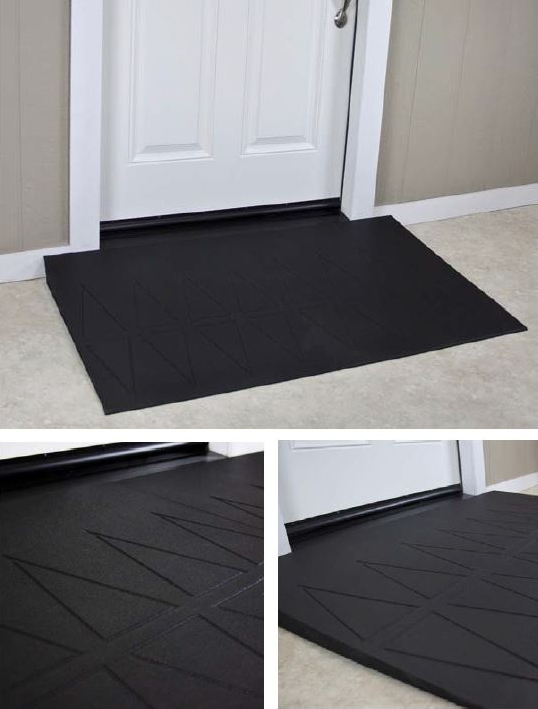 Make your space safer and more accessible for everyone!